I made 3 layouts yesterday which I'll be able to post soon. In the meantime I have a couple of fun things to share. 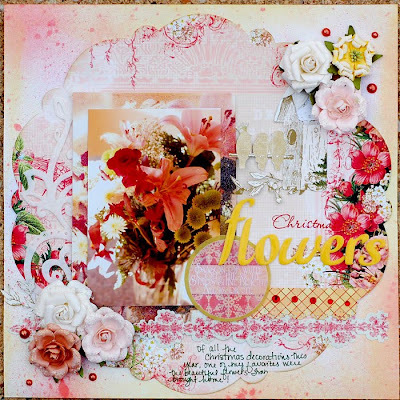 This first project is one that I did using Webster's Lullabye Lane papers. This particular die cut is my favorite of the whole release. 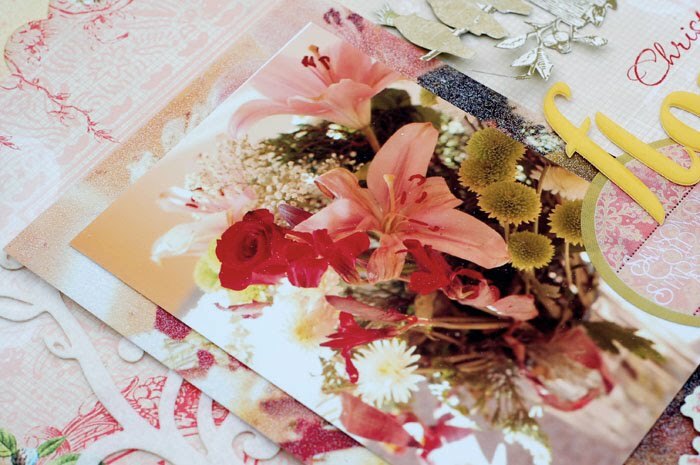 I had a picture of flowers that Fran brought me for Christmas and thought it would be perfect with the papers. I added a bit of Winter's wings and layered on some Prima Winter roses. They are stunning...they have little bits of glitter all over them. I have to say, I love this page! Here's a new technique that I tried. I originally printed a 5 by 7 picture of the flowers, but it was a bit blurry. So, I made a frame from it by adding some glitter. I think photos with lots of colors right up to the edge would be perfect for this technique. 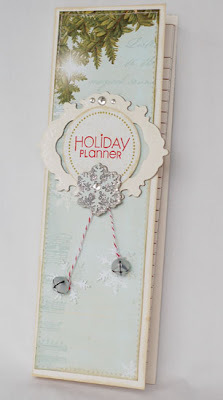 Also, I used Glimmer Mist on the white cardstock to create the spritzed border. 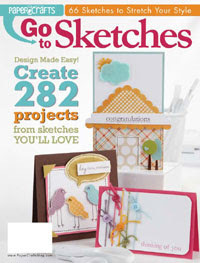 My next project is one that was just published in the new Paper Crafts special issue, Go To Sketches. I haven't had time to peruse the issue yet, but I can't wait. I'm such a sketch addict!!! 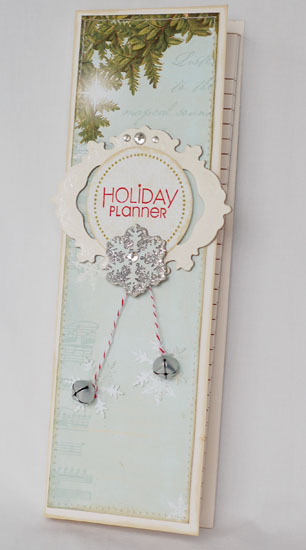 This little note pad is the perfect size for a holiday planner. The pad is from Papertrey. Thanks for stopping by. I have been working on some Easter projects. I created a couple of layouts this week with last year's Easter photos- just in time to start taking this year's batch! :) I'll be posting them this week. Beautiful colours! I love this scrap! Oh wow going to the gym and then scrapping up a storm certainly agrees with you, these are truly beautiful. Wow I love the gorgeous websters pages. 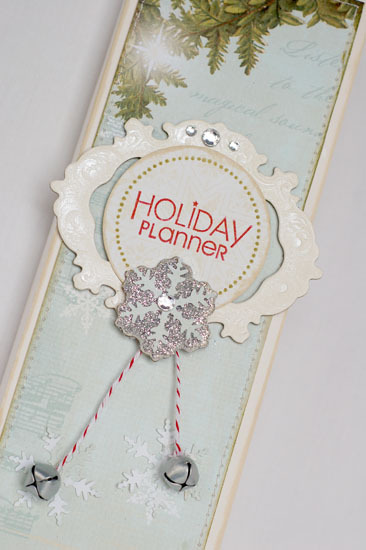 That holiday planner is divine. Anabelle, you're amazing! 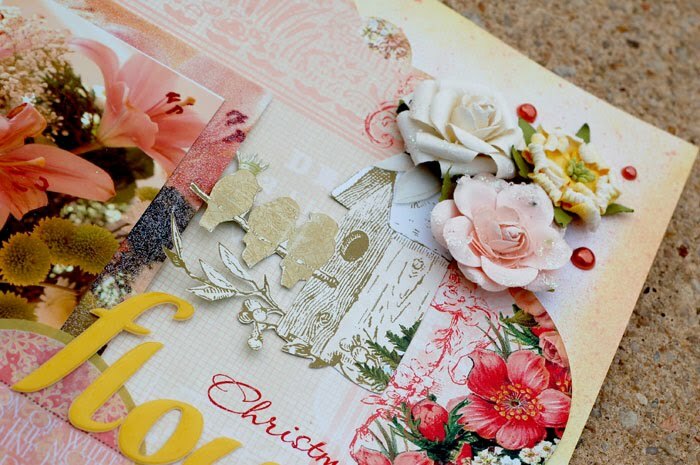 I just don't know how you put together one gorgeous project after another...absolutely amazing! !